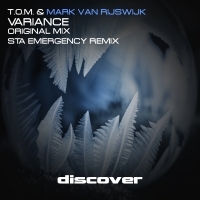 Mark van Rijswijk is a producer from the Netherlands. He likes to be innovative and original. Funk and groove are important to him, so Mark tries to use that as much as he can. He has produced music in the forms of house, trance, dubstep, drum 'n bass, nu-disco, electro-, french- and tech-house. Mark tries to break the boundaries of styles and blend them together.